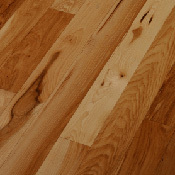 Hickory Hardwood Flooring is one of the strongest commonly used hardwoods in North America, with a Janka Hardness Rating of 1820. Because of the hardness of Hickory, the pioneers used this wood to build wagon wheels. 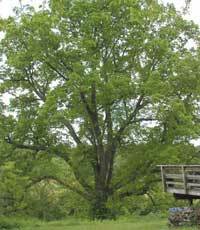 The strength of Hickory comes from the tightly packed fibers of the wood. Make sure to remember that this floor can withstand people dropping things, so it is the perfect choice for kitchens and kids rooms. 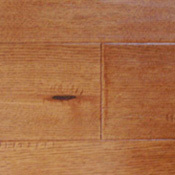 This floor is relatively 41% harder than Red Oak, which is the most commonly used wood in America. Because of this woods strength and density, it can be extremely difficult to sand and use other tools. 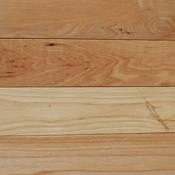 Log Cabins builders love hickory because of its red to tan colors. These colors complement the beautiful pine walls and are amazingly popular with cabin consumers. 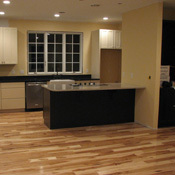 This is a great hardwood flooring product, but you must be sure you know all of its pros and cons. Flooring is a big decision to make and we hope this information will help you choose which hardwood flooring will suit your need. 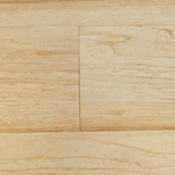 These are some Hickory Products we offer.